Ben arrives at Madison Square Garden that Saturday morning with plenty of supporters in his corner – his parents Ken and Brenda, his sister Carlee, his agents Leigh Steinberg and Ryan Tollner, and his college coach, Terry Hoeppner and his wife Jane. At 11:20 a.m., Ben and four others – Eli Manning, Roy Williams, Robert Gallery, and Kellen Winslow Jr. – are introduced to the crowd. • 12:58 p.m.: NFL commissioner Paul Tagliabue announces that the New York Giants have selected NC State quarterback Philip Rivers with the No. 4 pick. Soon thereafter the trade with the Chargers is announced – Eli Manning is headed to New York, Philip Rivers to San Diego. Both fanbases seem pleased with the outcome. • 1:57 p.m.: Pittsburgh is on the clock. “We see Ben Roethlisberger on the phone,” ESPN announces for the television audience. Sure enough, it’s Steelers coach Bill Cowher calling to tell Ben the Steelers are going to choose him with the No. 11 pick. 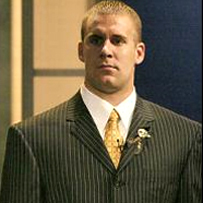 Also, Roethlisberger had the presence of mind to wear Steelers colors — a black suit with gold tie — to Madison Square Garden for the Draft. “Yeah, no one knew I was going here. But I knew. I thought I looked good in black and gold,” he said. 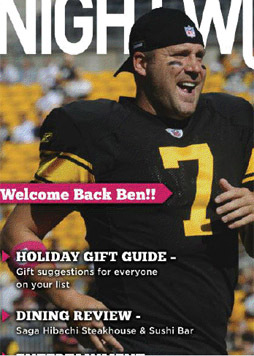 Ben Roethlisberger arrived Monday in Pittsburgh as the No. 3 quarterback in the NFL draft and, for now, no better than No. 3 on the Steelers’ depth chart. He doesn’t expect either situation to last very long. 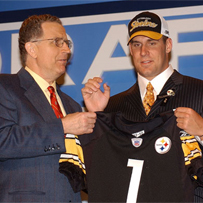 Roethlisberger, only the second quarterback drafted in the first round by Pittsburgh in 33 years, didn’t predict he would beat out incumbent Tommy Maddox or backup Charlie Batch immediately. He didn’t promise to have better rookie-year statistics than Mississippi’s Eli Manning or North Carolina State’s Philip Rivers, the two quarterbacks drafted ahead of him. But he said he lacks nothing Manning and Rivers possess — he dismisses talk the Manning family lineage gives Eli an edge — and is eager to show it. Even if he must wait a little longer to play than Manning does with the Giants or Rivers does with the Chargers. Roethlisberger didn’t criticize Rivers or Manning, but said, “I think I bring a little more athleticism than both of them, but I guess we’ll have to wait and see. Roethlisberger has already created more buzz in Pittsburgh than any Steelers quarterback draft pick since Terry Bradshaw in 1970. 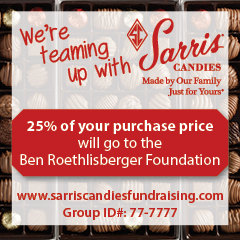 The Steelers haven’t yet started selling Roethlisberger’s No. 7 jersey, but no doubt they will quickly order up a batch to satisfy fan demand. They might want to order a few in extra-extra large, too; obviously not accustomed to having 6-foot-4½, 240-pound quarterbacks, the Steelers badly underestimated Roethlisberger’s size and gave him a much-too-small uniform for Monday’s photo shoot. 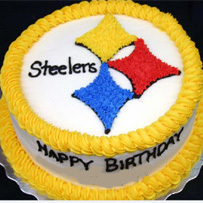 Now, they’ve got to find out how Roethlisberger fits into an already crowded quarterback mix. 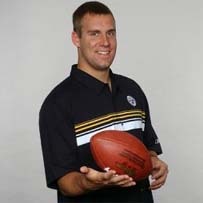 Roethlisberger was diplomatic when discussing playing time, at least for this season. Hope you enjoyed the “look back”. 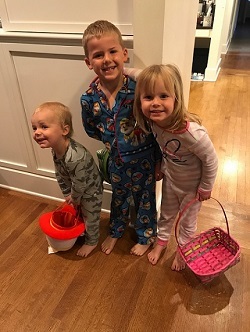 Wishing you a happy and safe Easter!